Born in Mount Shasta, CA and a native of Redding, CA, Corporal Travis Woods graduated from Foothill High School in 2004 and enlisted in the Marine Corps shortly after in July 2004. 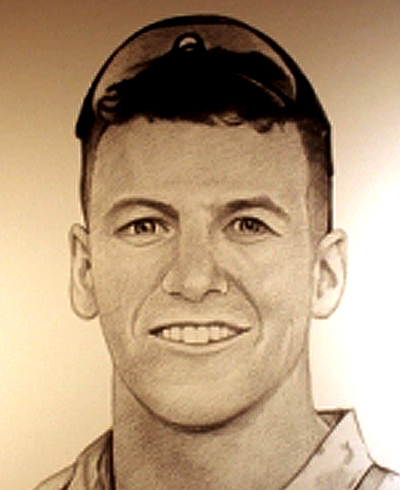 He began his career as Field Wireman at Camp Pendleton, CA, but later joined the reconnaissance community and then MARSOC in November 2006, soon after the unit was formed. Cpl. Woods deployed to Afghanistan with 3rd Battalion, 1st Marine Regiment attached to the 13th Marine Expeditionary Unit, Camp Pendleton, and was later assigned to 1st Marine Division before he was attached to the MARSOC detachment preparing to deploy to Afghanistan. Family and friends remember Cpl. Woods’ love of extreme sports including BMX, surfing and snowboarding, as well as how he enjoyed playing pranks on his friends. Cpl. Woods was on a motorized combat patrol on Sept. 9, 2007 when his vehicle struck a mine, killing him and injuring four others. Cpl. Woods’ personal decorations include two Purple Hearts, Navy-Marine Corps Commendation Medal, Combat Action Ribbon and Good Conduct Medal.